Muddin’ season is upon us! Are you ready to get dirty? 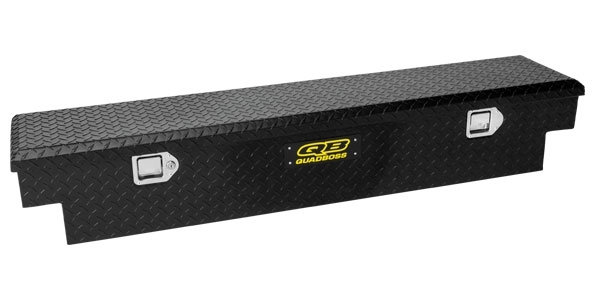 QuadBoss has the ultimate mud product line-up to get you and your ATV or UTV set! #1 product you’ll need to make it through the muddy terrain is a set of Mud Tires. We offer both 6-ply bias and 8-ply radial tires in sizes ranging from 24”-34”. Complete your machine’s look by pairing your mud tires with a set of mean QuadBoss Wheels. Let’s be honest, getting stuck is one of the most fun parts during a day of riding. Make sure you’re equipped with a Winch! We offer a complete line of both cable and synthetic rope winches that range in strengths up to 5,000 lbs. Our Winch Accessory Kit is a handy bag that includes all the winch accessories you’ll need to get out of a sticky situation. Although playing in the mud is fun, there are items that you’ll want to keep dry while you’re splashing through mud holes. Our Hard Luggage Trunks will keep necessities dry and provide an easy clean-up for you! As the sun goes down, don’t let the fun stop there! Deck out your ATV or UTV with our LED Lights. 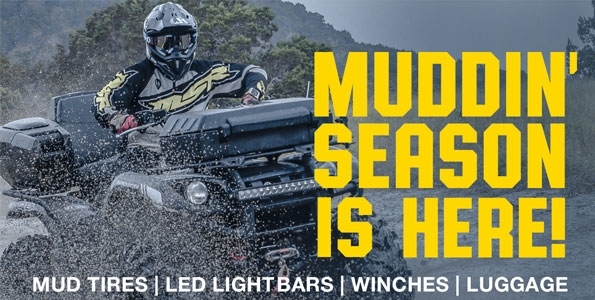 We offer a complete line of single and double light bars, accessory lighting, and multiple mounting options to fit any machine. Attitude is everything – Boss your machine out and get dirty! New Year = New Products. 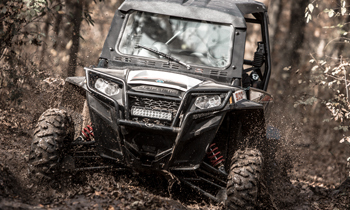 We’ve been busy adding to our growing line of ATV and UTV accessories. A new pair of rims can change the look of any machine. 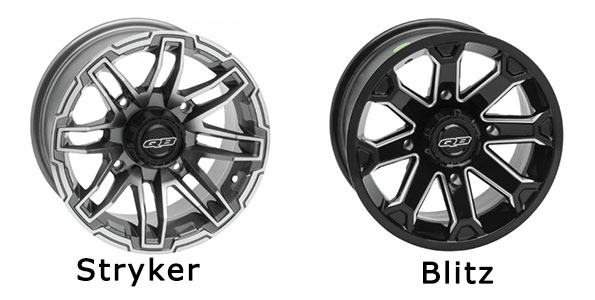 This month we’re releasing 2 new wheels – the Stryker Wheel and the Blitz Wheel. 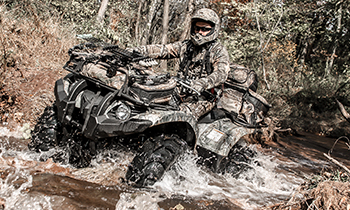 When pushing your ATV or UTV to its limits, something is bound to break. Make sure you’re equipped with our Farm Jack and Jack Accessories! 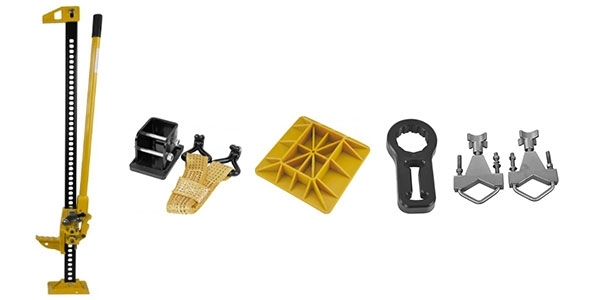 Like bed boxes for your truck, we’ve developed a Utility Boxand Mounts for the bed of your UTV. 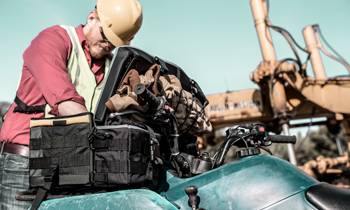 Keep all your tools in one safe, easily accessible location! And there you have it. Check back often as we are always adding new products to make your ATV and UTV more fun to ride.